One of the highlights of our year is always the Senior House Celebration of Christmas. 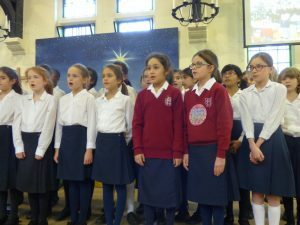 This year’s performance was superb – the girls played and sang beautifully. Thank you to Mrs Wilson, Mrs Freeman and Mrs Milne for accompanying us and to all the staff who helped to organise the event. Thank you also to all the parents who came to join us for our Christmas celebrations! Junior House Christmas Party. 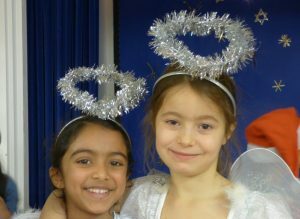 Last Friday, Junior House held their Christmas Party in the hall and the excitement was off the scale. We played Pass the Parcel and Musical Statues and then, a very, very special visitor came to see us. We could not believe our eyes – we nearly fainted! 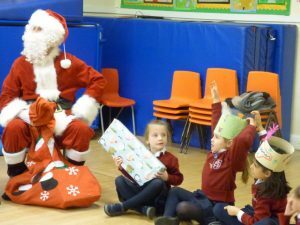 Santa Claus really is coming to town………..
Last Monday, Seaton House held a DT Enrichment Day. 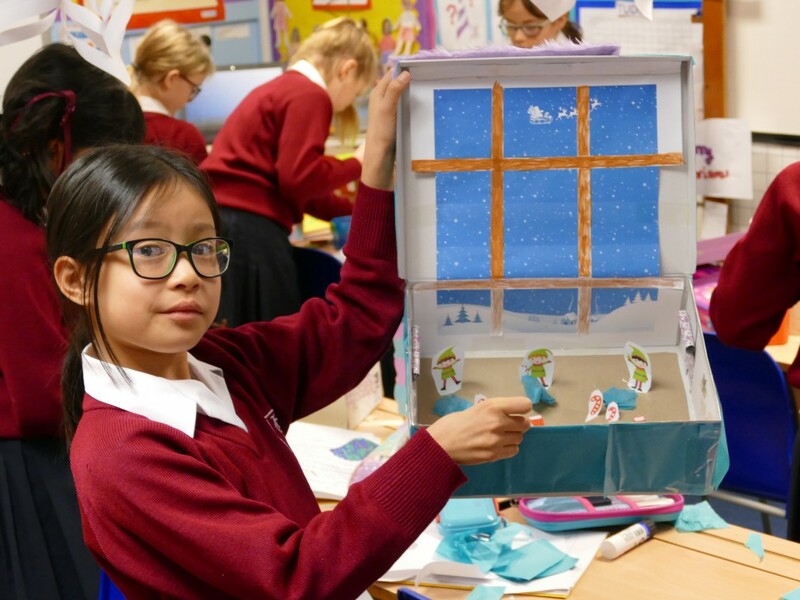 We brought in shoe boxes to make our own diorama – a scene – in 3D! We each carefully planned our diorama, then we created them using many different materials: paint, coloured pens, wool, fabric and lots more. Our imaginations ran riot as we created underwater scenes and voyages to outer space! We then evaluated our work. As you can see, the results were spectacular. 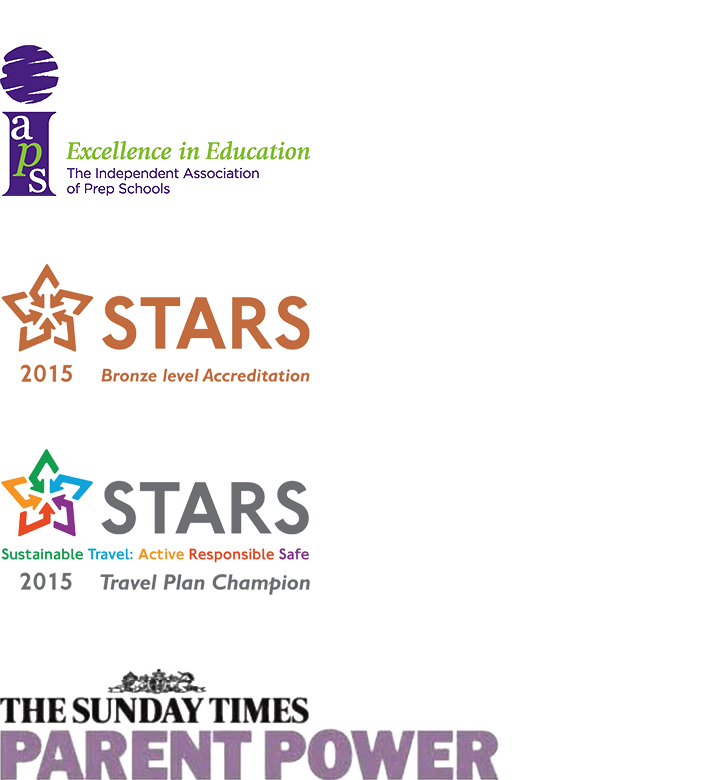 Thank you Mrs Baker for organising such an amazing, creative day. If we weren’t feeling Christmassy before, we certainly are now! This morning, Junior House performed Prickly Hay, the dress rehearsal of their Christmas Nativity and it was so beautiful it made us cry. Parents who have not seen it yet are in for a treat next week. The message of the play was simple – it doesn’t matter who we are or what we do – we are all important and we all count. The girls gave a fantastic performance. Their acting ability and their talent for music was so apparent – we are sure we have one or two future Oscar winners in our midst. Thank you to Miss Goodsell, Mrs Cooper, Mrs Simpson and Mrs Budgett for organising such a lovely, heartwarming Christmas play.